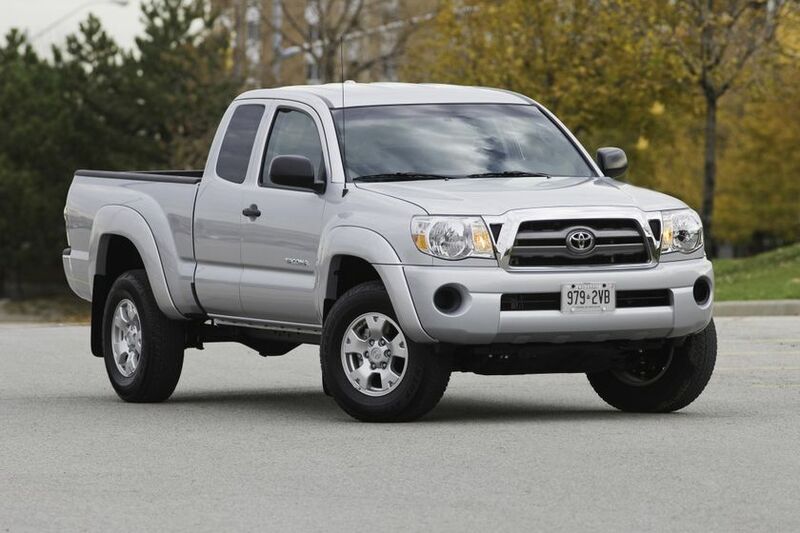 (TORONTO) – 2011 Tacoma 4x4 and 4x2 models are rolling into Toyota Dealers, giving Canadians the compact pick-up truck that’s big on power, fuel efficiency and capability. A surprisingly powerful yet fuel efficient 2.7 Litre 4-cylinder engine is fitted to four models: the 4x2 Access Cab in 5-speed manual and 4-speed automatic, and the 4x4 Access Cab with a 5-speed manual and new 4-speed automatic. This engine delivers 159 horsepower and 180 lb-ft of torque, and a 1,587 KG (3,500 LB) towing rating. For additional power and towing capability, the proven 4.0 Litre V6 is fitted to four models: The 4x4 Access Cab V6 and 4x4 Double Cab V6 in 6-speed manual and 5-speed automatic models. This engine generates 236 horsepower and 266 lb-ft of torque. 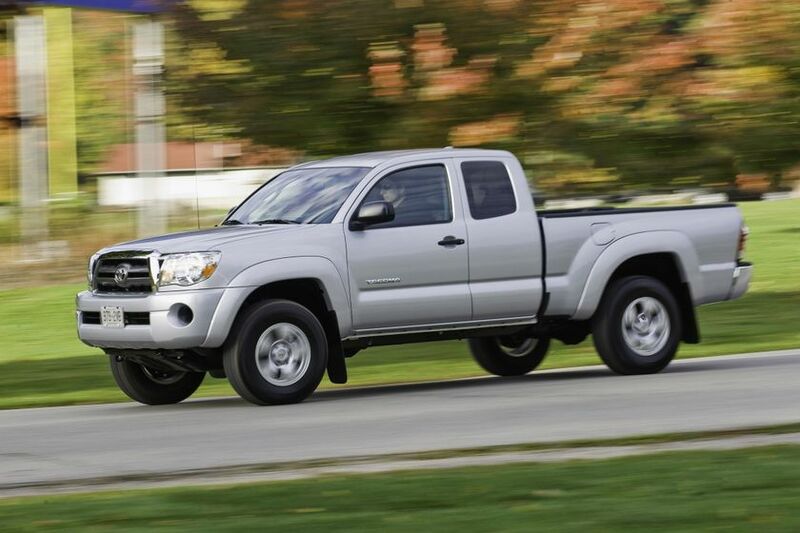 Tacoma 4x4 Double Cab V6 (automatic) = 13.3L per 100 KM city/9.8L per 100 KM highway. Tacoma 4x4 models feature a convenient one-touch, part-time four-wheel-drive, featuring an automatic disconnecting differential, and two-speed transfer case. All models ride on a rugged front suspension featuring a double-wishbone design with gas shocks, coil springs and stabilizer bar and a leaf spring rear suspension with gas shocks. These combine to deliver excellent handling for a variety of driving duties with a comfortable ride. Standard features include Vehicle Stability Control (VSC), traction control with anti-lock braking system, Brake Assist (BA), and electronic brakeforce distribution technologies. Six airbags (dual-stage driver and front passenger air bags, front seat mounted side airbags, and roll-sensing front and rear head/side curtain airbags). 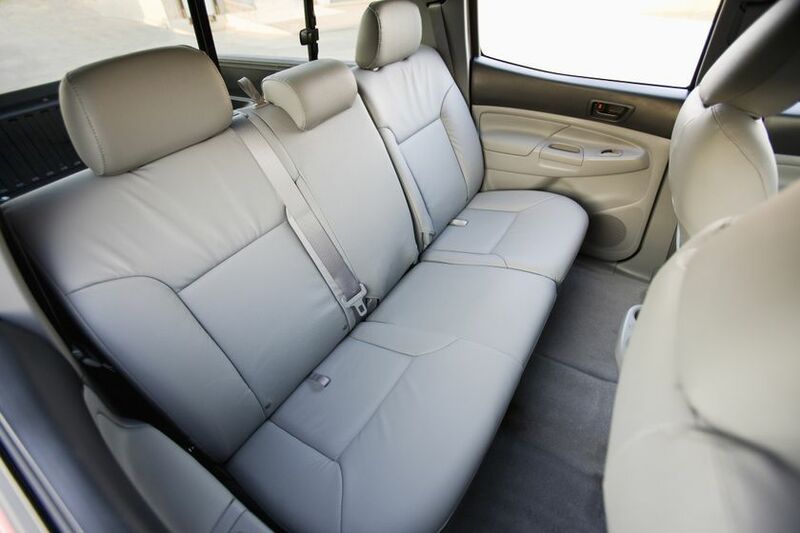 Active front headrests with whiplash protection, three point lap and shoulder belts, pretensioners and force limiters for the front seatbelts and anchor points for child-restraint seats. 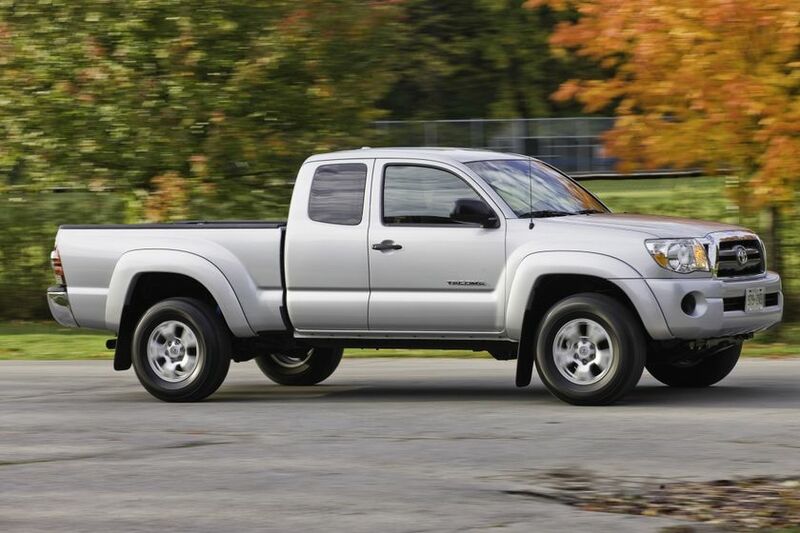 Toyota offers two cab styles for the 2011 Tacoma. 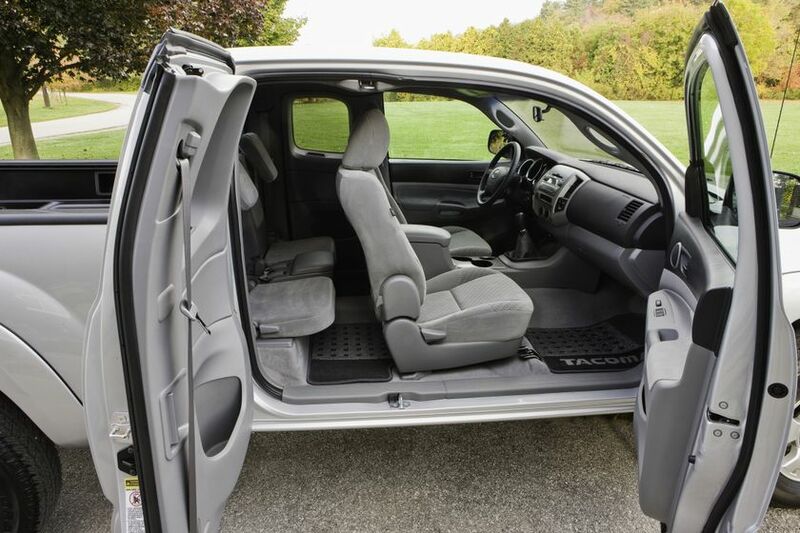 Tacoma 4x2, Tacoma 4x4, and Tacoma 4x4 V6 models are fitted with the four-person Access Cab. 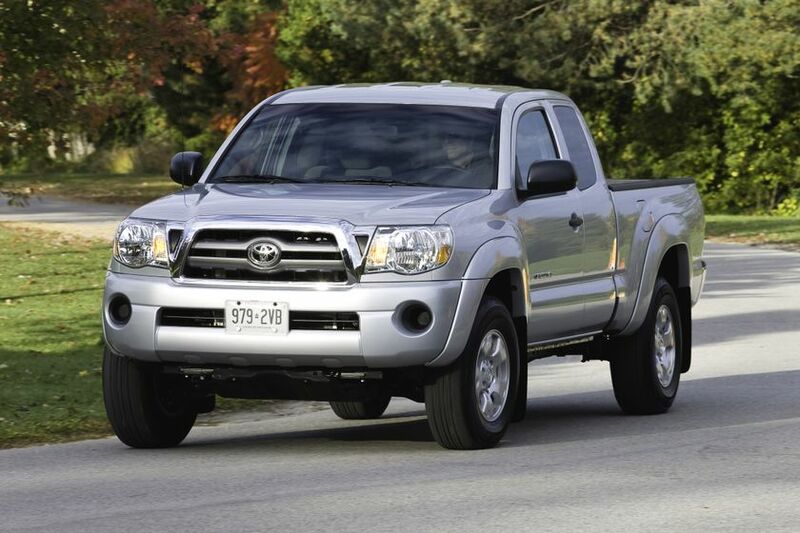 The Tacoma 4x4 V6 may also be ordered with the larger Double Cab with full-size rear doors and room for five adults. A durable rust and dent resistant double-walled composite cargo bed with removable tailgate, cargo bed tie-downs and four tie-down cleats. 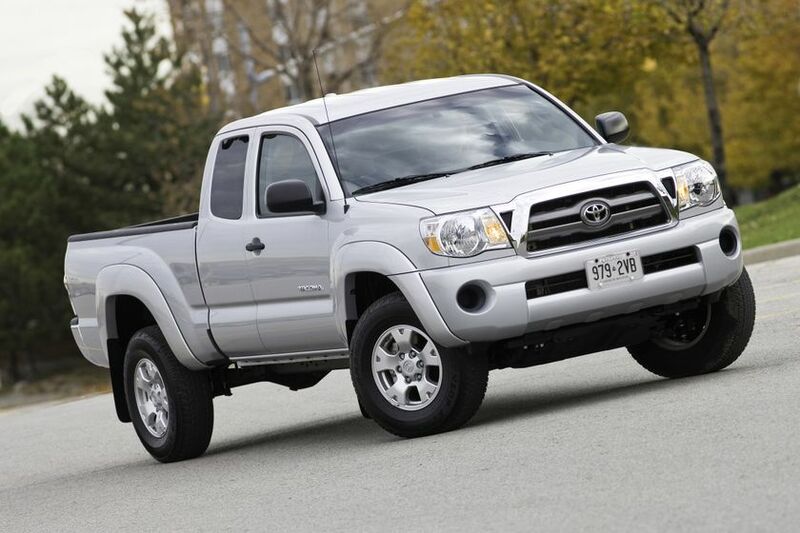 Toyota has developed a choice of upgrade packages allowing Canadians customize their 2011 Toyota Tacoma. Tacoma 4x2 and 4x4 models may be ordered with the SR5 Power Package, which adds leather wrapped steering wheel and shift knob, fold-down front passenger seatback, rear privacy glass, cruise control, power exterior mirrors, variable intermittent wipers plus numerous styling upgrades and more. A unique TRD Offroad Package for the Tacoma 4x4 Access Cab V6 adds equipment from the SR5 Power Package, a seven-pin trailer wire harness and Class IV weight distribution hitch. 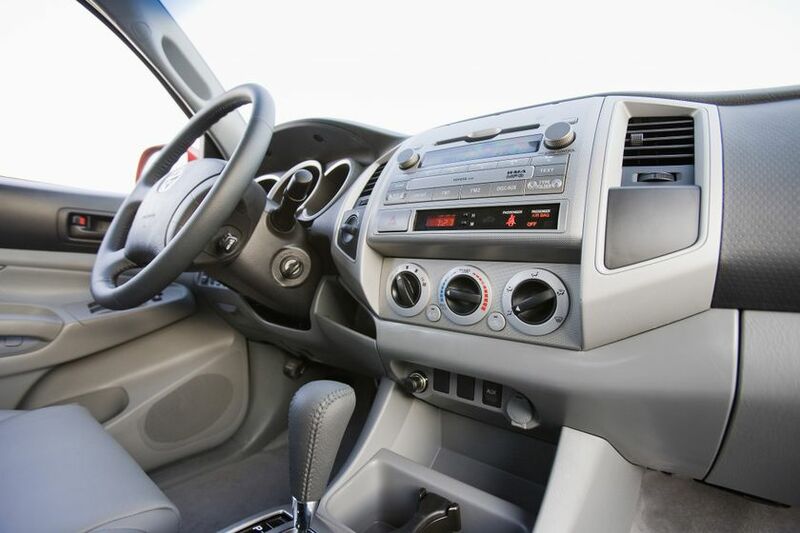 Other features include Active Traction Control, fuel tank and transfer case protector plates, upgraded audio with a six-disc CD changer, digital compass, mud+snow tires, fog lamps, a back-up camera and more. Add a TRD Sport Package to the Tacoma 4x4 Double Cab V6 and build on the SR5 Power Package with a seven-pin trailer wire harness and Class IV weight distribution hitch. 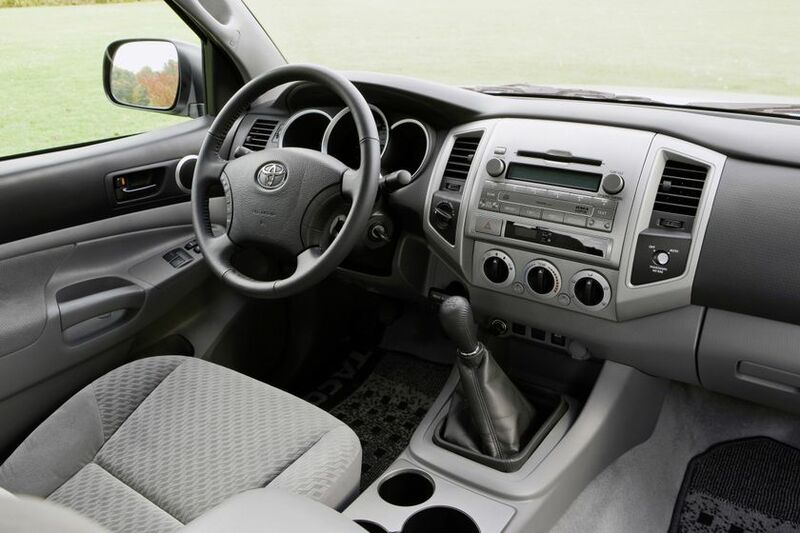 Other features include an upgraded audio system with six-disc CD changer, outside temperature gauge, 400-watt/115-volt cargo bed outlet, 17” alloy wheels, fog lamps, plus numerous styling upgrades including a hood scoop and black headlamp surround and more. 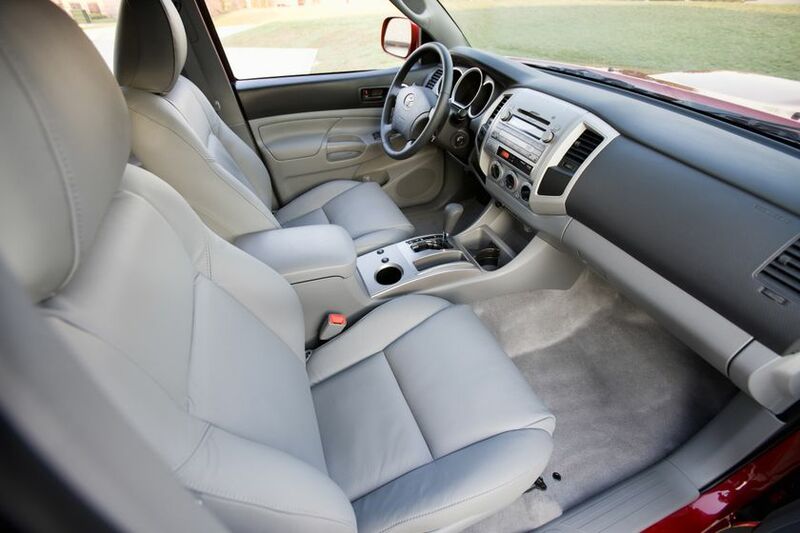 The Tacoma 4x4 Double Cab V6 gets a premium feel with the TRD Sport + Leather Package, which includes all features of the TRD Sport Package, plus leather seat surfaces and heated front seats.